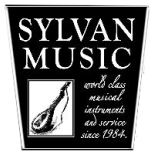 Sylvan Music has some of the finest music teachers in Santa Cruz! Below is a list of our in-store teachers and some other local teachers teaching outside of Sylvan Music. Time to pick up that old guitar and come in for a lesson! Need an instrument, but not ready to commit yet? Check out our ﻿Instrument Rentals.